In this recipe I’d like you to chow down on a Smash Brother analytical approach to selecting your main character. The approach I’m going to introduce you puts an emphasis on what makes a character unique. based on trends in our data, and how closely a character is to the a group. Take the above picture, without applying this approach we are in the top left quadrant, we only have a faint idea of who should be our main. As we apply more segments and more trends in the data we’ll eventually end up in the bottom left quadrant. A clear picture of who our main should be. Now I keep mentioning trends in our data. How do we find trends in data where attributes are on the surface completely skewed and non-normalized? Take for instance a characters weight as a whole number will be larger than a characters acceleration rate in the air (aerial attacks). We can achieve these trends by standardizing our variables, setting all variables to have a mean of zero. In doing so this analysis focuses strictly on the trends in our data and we can have a pretty interesting discussion: i.e. Yoshi is more similar to Kirby, than he is to Pac-man. This triggered a thought in my head and I haven’t done this on the Pancakes Analytics page yet, but typically you would bring a k-means cluster in production and re-score your segments on an agreed upon cadence. In this case I’ll treat the release of a new game as the cadence. I’ll run a k-means clustering on the character attributes in Wii-U version and then a k-means clustering on the same character attributes but for the Switch version. While going through this process I’ll only be including those characters who were in both games and where the data is clean: i.e. all characters have a weight and all characters have available acceleration data. Sorry Inkling, you’re not in this segmentation. These aren’t ranked by what tier is the best, but we can make some assumptions. The Jack of All Trades segment, most likely you won’t be winning matches often but you’ll be competitive. Smash Brothers is a unique fighting game, so characters do have a weight to them. Being light weight does have it’s advantages, but the learning curve of playing as a Speedster might be too high risk high reward for you. The Floaters, if you select someone with a weight advantage in this group, you’ll likely to win your match but you have to master the move set (your smash move). Air Tanks, is a no brainer I think for any skill set. If you want to have a high likelihood of lasting till time runs out, be an Air Tank (this won’t guarantee a win, that really depends on your competition). I’m hoping visual this stood out to you the reader: Ganondorf made a large leap from the Air Tanks to the Floaters. This doesn’t only speak to Ganondorf but it also tells you information about Bowser as well. Ganondorf has more in-common with Jiggly Puff than he does Bowser. The reason being is he’s quicker and can adapt well in aerial attacks and in falling than Bowser can. On the flip-side of this I can also say Bowser more accurately represents how he’s viewed from the super Mario franchise, in Super Smash Bros. Ultimate. Neither one of these characters were “nerfed”, only re-calibrated so there’s a distinct difference between the two. What do you do with this information? If you’re main is a Floater, Ganondorf would be a good transitional character if you were looking to play as a character with more weight. 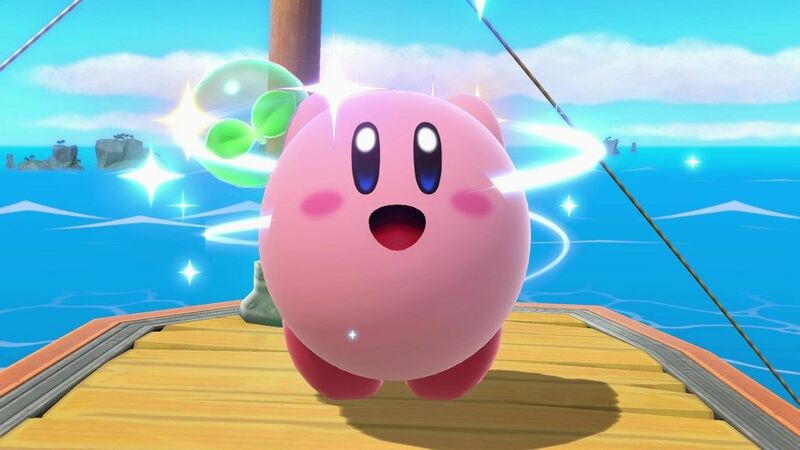 Or say you always play as an Air Tank, because you have the assumption anyone who has Kirby as a main shouldn’t be playing Smash Bros. then Ganondorf is a good transitional main for you when you eventually given in and select Kirby, “by accident”. This segment has high variability and you can see this from the oblong shape of the circle. Ganondorf and Jiggly Puff are driving this shape, all though they are in the same segment and are more similar to each-other than are to other segments, they are the furthest apart within this segment. Now hold up… wait a second. Didn’t I just try to prove a point of how similar they are? Yes, but in relation of whose more similar to Ganondorf: Jiggly Puff or Bowser. But if I posed the question who is more similar to Ganondorf: Jiggly Puff or Kirby… that answer is Kirby. This group on average are the slowest by run speed and lightest by weight… they Float. This segment is the medium of everything. There’s no uniquely distinct trend in their data. Now playing as Pikachu vs Mega Man would have so game-play differences but statistically speaking you are starting with same underlying stats. If you’re new the series this a good group to start with… they’re a Jack of All Trades. The Dasher segment is very similar to the Jack of All Trades segment, only slightly faster. Playing in this group you could potentially do more harm than good, if you’re selecting because you want to stay middle ground. You could… Dash yourself off the area. Air Tanks are fast in the aerial attacks… and the heaviest? I’m anticipating this group will be re-calibrated by the next release. In other words… Bowser has no business being as effective as he is in the air as he weighs, normally these two variable don’t correlate. I guess all the time battling a plumber who can flip and jumps is finally paying off. This is your high risk high reward group. Characters in this segment are the fastest and the lightest. I personally am awful playing as Sonic, he’s too fast for playing level but a seasoned player could probably mop the floor with Sonic. You should have your main be one of the above three. This is the data solution to selecting your main.